Hello to all you cycling fanatics out there! We are so close to start another great adventure in the Alps. 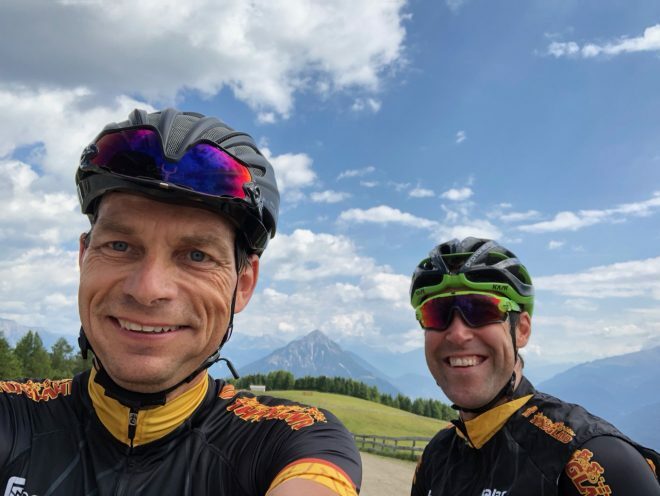 For my own sake I’m starting my third TransAlp tomorrow and the other half of my team – Sture – has gotten this race as a 50 year anniversary present for himself. Talk about glory through suffering.. We also have a mechanic – Marcin – with us to take care of our bikes and assist in our day-to-day recovery. The special situation of a stage race compared with a single day race is that there will be another day/stage tomorrow which is also just as important to be ready for. Therefore the recovery phase, how well you hydrate, eat and rest all plays in as a factor for the overall result. It’s not just the average pace one single day that matters, but in this case over 7 stages, over 500 km and 19000 climbing meters in one week! 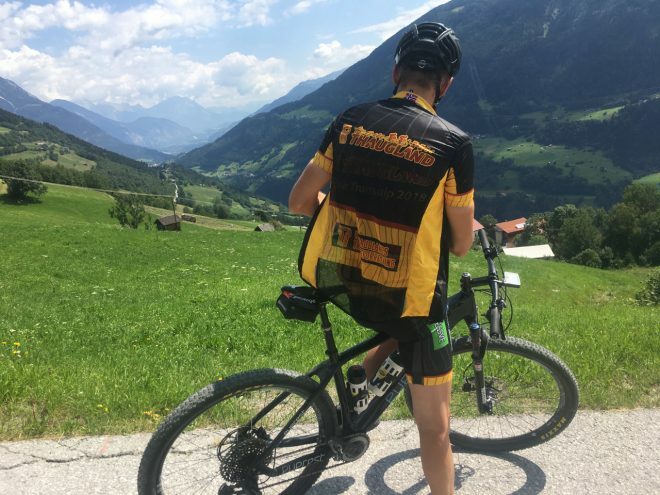 TransAlp is an epic race and also brutally hard. 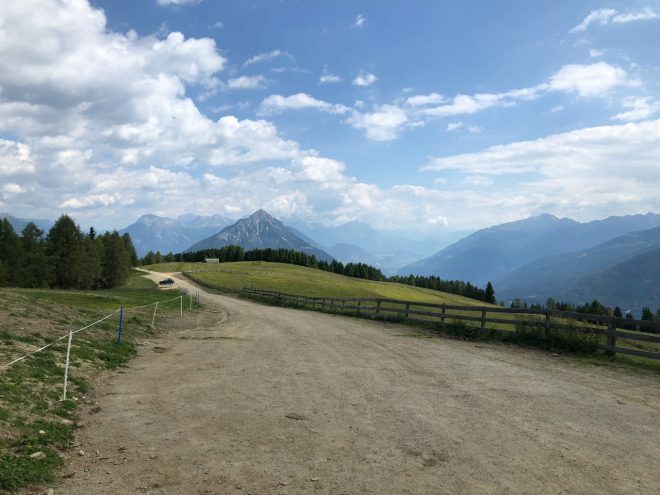 I have done my preparations in Berchtesgadener Land where I now live, and for me this has been the perfect place to adapt for the steep, alpine landscape and changing weather. I also have extensive experience from earlier TransAlps and other stage races. For Sture this is his first stage race and he has done his preparations in Oslo. Not exactly alps there, but we found the closest thing. Steep gravel mixed with some flowy technical descents in high speed is what we expect to see lots of here. Our bikes are set up with 180 mm brake rotors for more stopping power and Sture is also riding with a dropper seatpost for increased control in the descents. 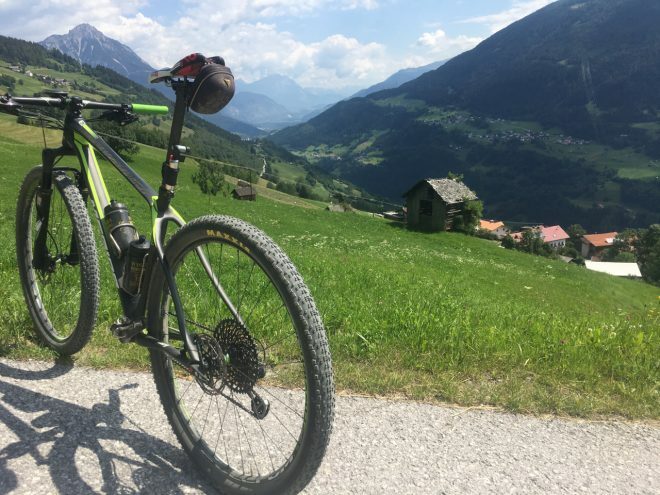 We are both riding hardtail bikes since it’s a lot of climbing and the technical sections are generally not so rough (even though they may be very steep). For this race we have selected Maxxis Aspen tires setup tubeless for low rolling resistance and good puncture protection. The journey started Friday morning when I picked the rest of the team up from Münich airport. 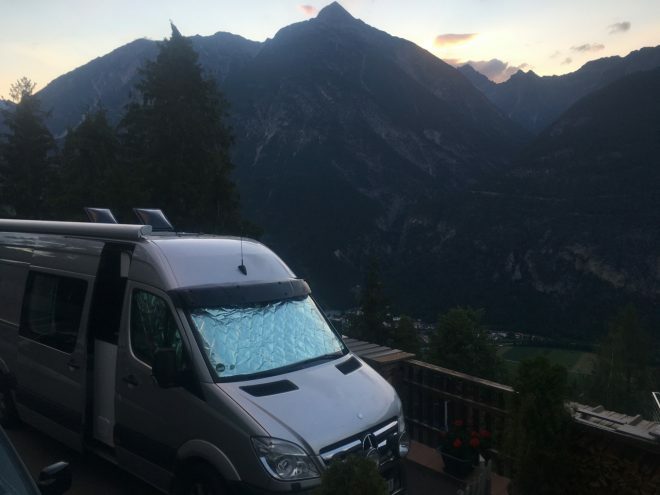 We then drove directly to Imst in Austria where are renting privately up in the mountainside a bit outside the city. It’s high up, fresh air, quiet and with an amazing view. Could even call it relaxing 🙂 The first day we took an easy spin to get the travel out of the legs and to make some small adjustments to the setup. Also a good chance to talk team tactics and get to know each other better. 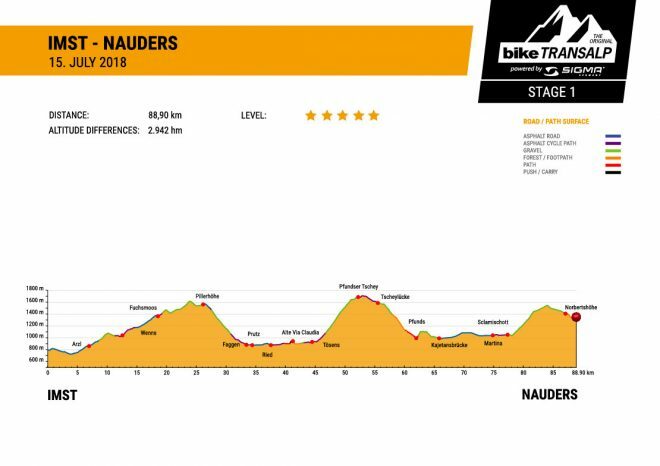 The first stage starts off tomorrow at 9:00 and goes from Imst to Nauders. There is supposedly a live tracking by datasport.com which you can find here https://www.datasport.com/live/ Our team number is 291.